Now, I don't mean to rub this in anyones face but, it's a BEAUTIFUL 74 outside today!! I am sending sunshine to all my northeastern friends that need it!! Stay warm out there. Her name is Samantha and I just LOVE her!! She just so pretty and sophisticated. I colored with my Copic markers. Her buttons have been colored with Wink of Stella Gold and her eyelids too!! I love this stuff. Now the fun part about this crad, well for me anyways!! The matting on the card is actually gold!! 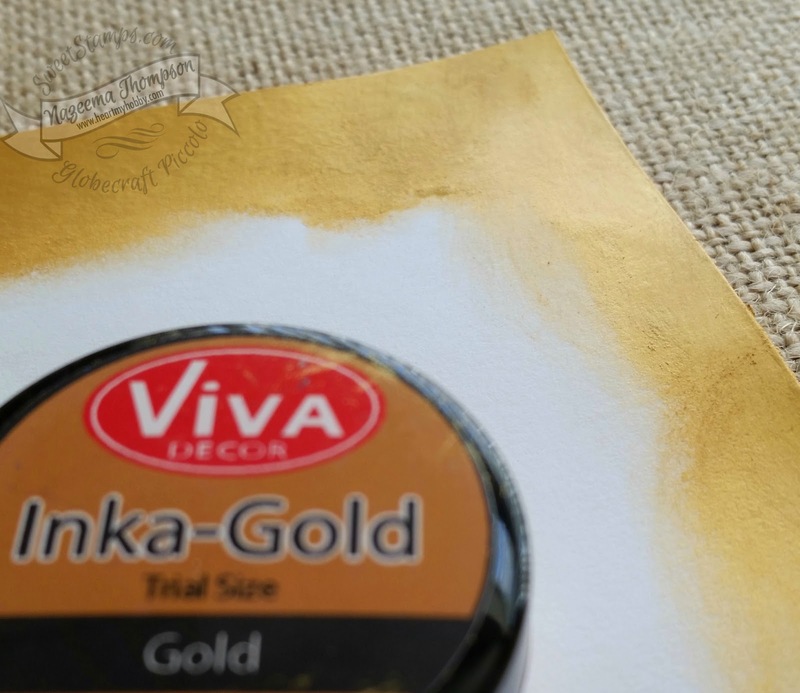 I used Inka-Gold: Gold!! This stuff is so fun!! I dug my fingers into the mix and just rubbed all over the edge. No need to heat set or even wait!!! Yummy!!! Look at this!!! 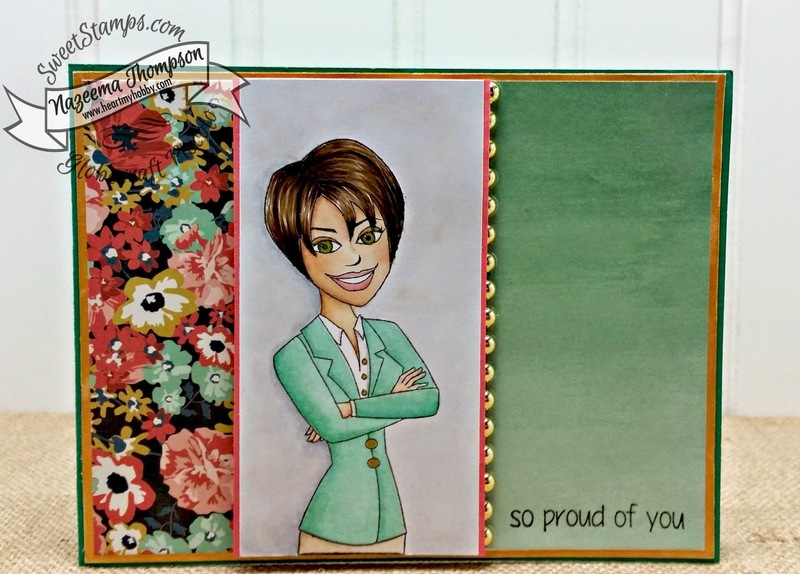 SweetStamps is having a new release!!! Yeah!! I want to promise you that you will love everything in store!! PROMISE!! Calypso, it's absolutely adorable! Great job with the coloring too. Miss you!